Picture yourself on a cool night sinking into your favourite chair, kicking the slippers off and loosening the belt a notch or two and sipping away at this. Fully loaded, this wine is powerful and dense yet soft and supple. Packed with blackberries, chocolate, and vanillin oak, the wine is beautifully structured. 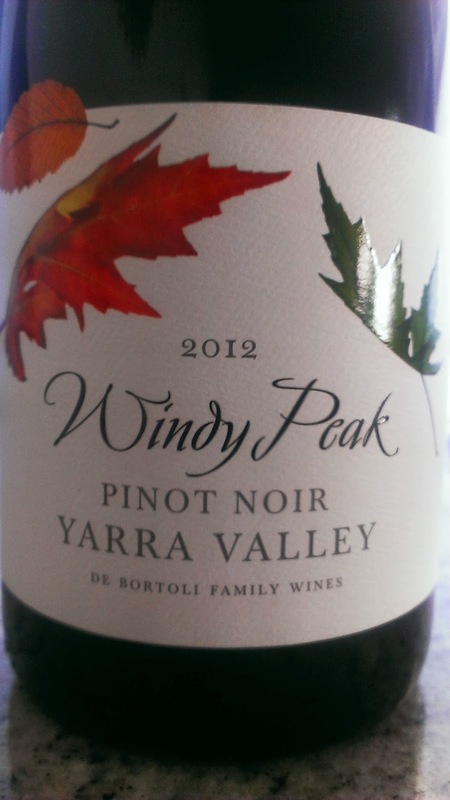 Fruit flavours are deep and generous with a warming finish which is long and delicious. An excellent wine which is even more enhanced by the asking price, a mere $25. Get a bottle, it's worth it and then some! I tasted five wines in a blind tasting recently. 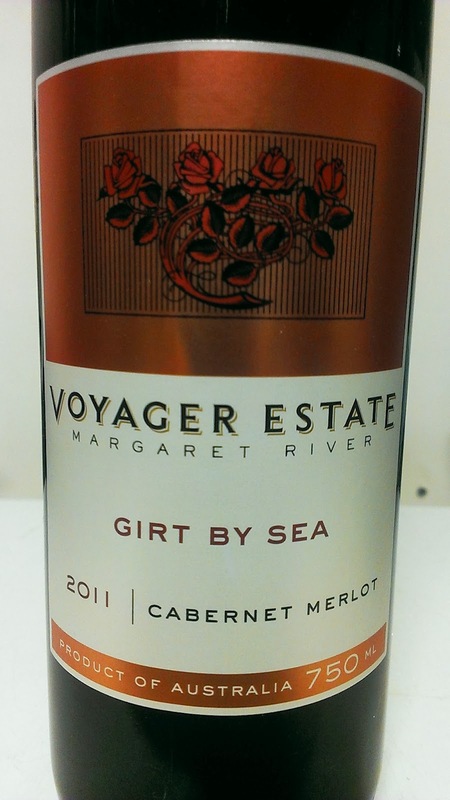 All were Cabernets from various South Australian regions and all were of differing vintages. This drop topped the lot and was a pleasant surprise. Great colour, this is deep and dense with some chocolatey oak. I really liked the berry fruits and the depth delivered. The length punches through nicely. Soft fruit flavours leave the mouth slowly and gracefully. A most enjoyable wine with a funky label which makes you want to read every little word. Yelland and Papps certainly have their finger on the pulse. This wine was a bit of fun in their words... I like their definition of fun! A ripping bargain for twenty bucks! A wine to wash down your pizza with. I do like the retro label, probably a bit more than the contents to be honest. Earth, plums, dark cherry and spiced berry characters wash through. Good length with some gentle spice sitting nicely. A fair drop without wow factor. 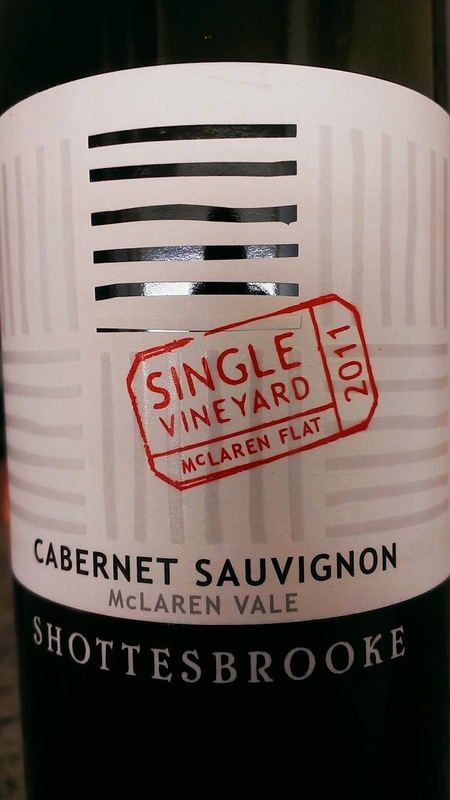 Margaret River Cabernet has a knack of producing a bay leaf character in its Cabernet. And here it is again in this blend. Alluring blackberry and olive characters are the highlights for me. Soft and slurpable, the fruit blankets the palate nicely. The length is long and dangerously delicious to the finish. It's not long til I'm topping up the glass again. A very good wine and well priced. Today I spoke about #QldWineWeek and Riesling. Jump on the Qld Wine Week webpage to see how you can get involved in the numerous events on offer including tastings, dinners and even a bus trip to the Granite Belt! Check out and Like the Facebook page here too. 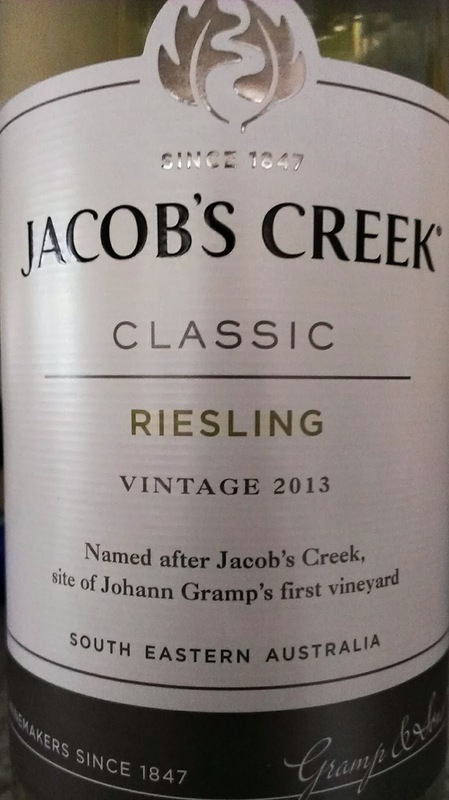 The weather has been pretty hot in Brisbane lately so it's perfect Riesling weather. This is a very respectable wine. Fresh, clean and oozing tropical fruit goodness, a wine you'd easily get stuck into on a hot day. There is some textural interest here. That and the simple refreshing delivery of the fruit assures this gets a big tick from me. 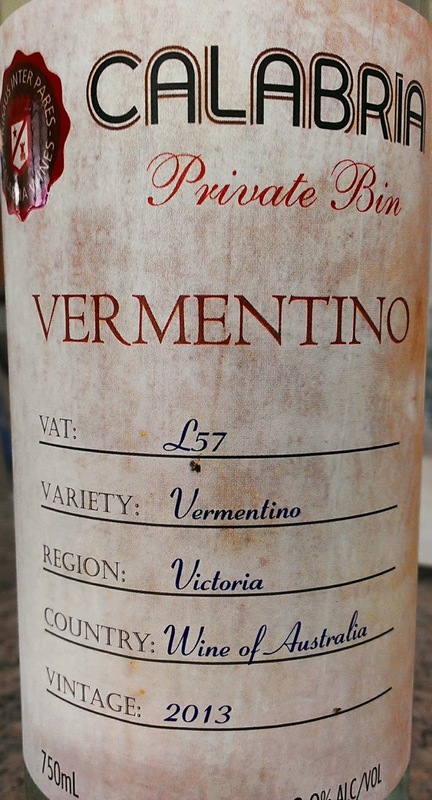 Vermentino is a great option for summer time and this Vermentino from the Calabria Family proves that. The fruit comes from Victoria though the specific region is not made clear. Clean, crisp and refreshing...this hits the spot. I really like the lemony tang which presents itself too. There is some textural goodness also which is a result of some barrel fermentation. What seals the deal for me is the asking price. $15! The Granite Belt doesn't have a hero variety. In some respects the region is still seeking what "the" variety is. Irrespective, you have winemakers like Peter McGlashan keen to shake the tree and extract the best he can from what he has at his disposal. This Chardonnay is an absolute belter! Wines like these aren't made by fluke. 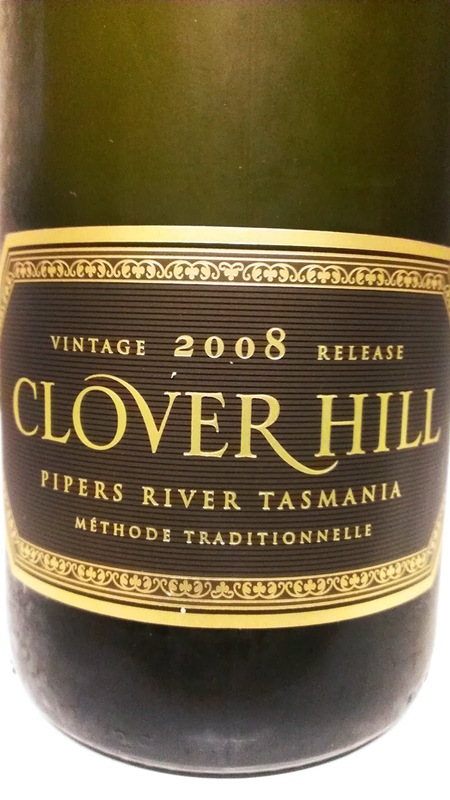 Peter has executed his skills exceptionally in a vintage which is said to be the best seen on the Granite Belt. A blend of estate grown and contract fruit, this is Ridgemill's flagship wine. What's it like? The fruit is pure with excellent use of oak... this is where classy Chardonnay is at. Deliciously balanced with stone fruit highlights of nectarine and peach. Oak is used wonderfully to round out an excellent wine. One for Chardonnay purists indeed. Recently awarded one of the Top 12 Chardonnays in Australia by James Halliday, Peter is putting the Granite Belt on the map. 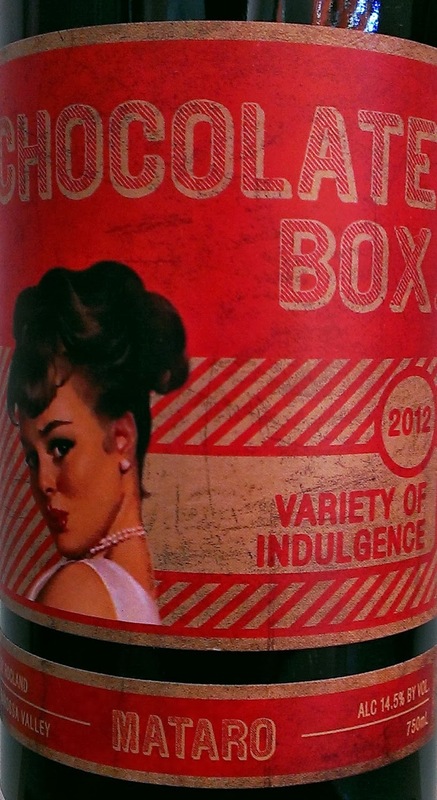 Available at the Cellar Door, online and soon at Brisbane's Craft Wine Store. 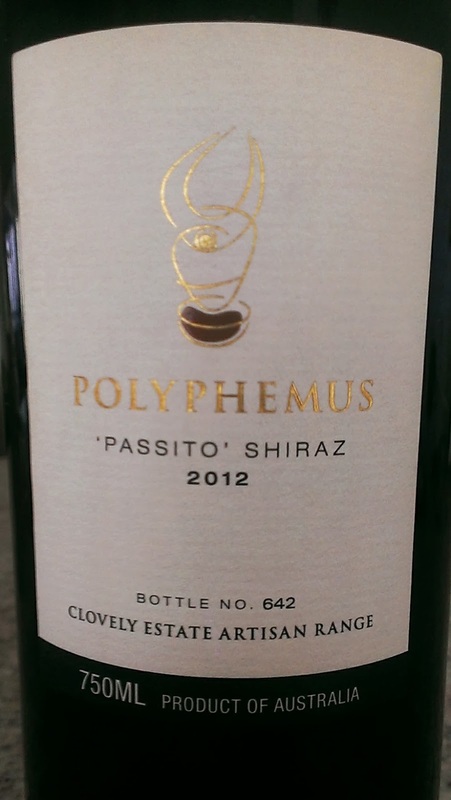 I had a look at the Shiraz from these guys recently and I was suitably impressed. A bargain deluxe! And this Cabernet is not far behind it, once again a mere $18. Dark fruits, tomato bush, a hint of mint, sage and savoury herbs. There's so much to like about it. The fruit has good depth and carry. There is a little fruit sweetness noticeable. A nicely balanced wine. Roasted capsicum and black fruit characters are soft yet plentiful. Some dried herb swept through late. After a good decant it settled further more and after looking at the wine a second time it grew on me. A neat touch of oak and lingering mouth warmth were enjoyable. A good buy. Have with roasted meats over the next few years. In a line up of five Cabernets tasted blind, this wine had the most distinctive aromatic qualities. Minty and eucalypt characters stole the show along with some blackcurrant. Despite this, the wine was just a little flat on delivery. Blue fruits, good structure and drying tannins were in all the fray. A handy wine but not my preferred from those tasted. Coming from South Australia's Limestone Coast, the vineyard was named after acclaimed geologist and Antarctic explorer, Sir Douglas Mawson. A quarter of the wine was matured for 12 months in a mix of new and one year old French oak. The remainder saw older American, French and Hungarian oak. Not too aromatic, the flavours are simple. Black fruit characters do shine through and there is a lingering finish. The fruit depth isn't there for those seeking some punch however. Nothing to excite me but an easy drink all the same. Have with a simple mid-week meal. There's no more of a perfect opportunity to get loved up and have a look at some bubbles than on Valentine's Day. In this week's segment I spoke a little about Champagne and then moved onto Australian sparkling wines. 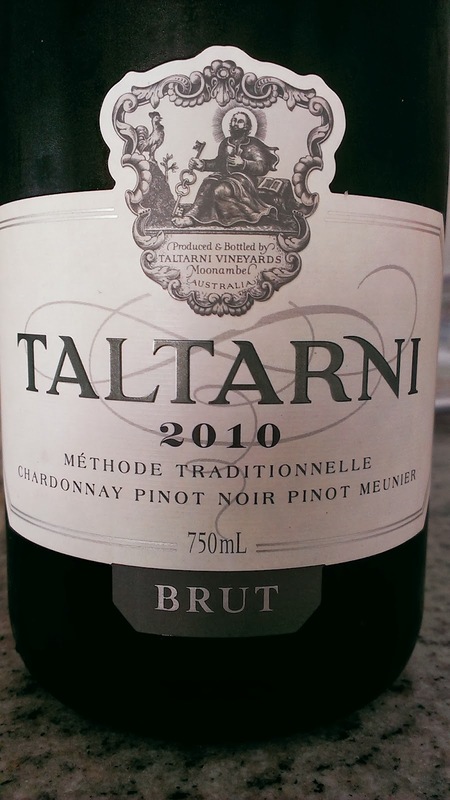 Taltarni Brut 2010, Grant Burge NV and Clover Hill 2008. The fruit for this sparkling fizz is sourced from vineyards in Victoria (65%), South Australia (24%) and Tasmania (11%) and is made using Method Traditionnelle, that is, the wine is fermented in the bottle. Fresh aromas of citrus, creaminess and a little whiff of nougat. Good fruit. Lightish but enough to make an impact. The creaminess and peach flows through nicely leaving a decent finish. Not too dry and very easy to sip away at. Can often be picked up around the twenty dollar mark which makes it good value for what you get. For pure drinking pleasure, these Magpie Estate wines hit the spot. And here is another stepping up to the plate. A blend of Mourvedre and Grenache, this is a wine to drink now and all day! Powerful aromas of dried flowers (some roses too), it's meaty, earthy with plums and cloves too. Soft and delicate, there is a touch of fruit sweetness and those earthy and plum characters really drive through to a long finish. Lick the glass out. I did! Despite punching through a bit of man flu this week, I had a chat with Ben Davis about wine labels this week. The labels discussed come from Dave Mackintosh, Brad Hickey and Some Young Punks. Each comes from a different perspective, the latter particularly spending a pretty penny to get it right. All strive to get that elusive shelf presence whilst also meeting their own criteria. Tune in to Brisbane's 4BC next Friday at 5:40pm and we'll do it all again! A wine with a point of difference on many levels. This Shiraz was picked and rack dried for a period of three weeks. This drying process further concentrates the flavours. Only 680 bottles were produced from this labour intensive process, hence the end result is quite expensive. Lots of red berry fruit, raisins, plums, meat jus and some dried fruit sweetness. A full bodied wine; there is notable acid. Cherry tomato like. The red berry fruit washes through to a super long finish. It's hard not to keep sipping this I must admit. I sampled this over a period of five days and the wine was humming on day four. It was soft yet with great depth, juicy and flavoursome with dark and plummy fruits. The acid had clearly settled by this point. Made for the long haul, it will start to hit its drinking window in three to five years. Fans of Amarone would be up for this. 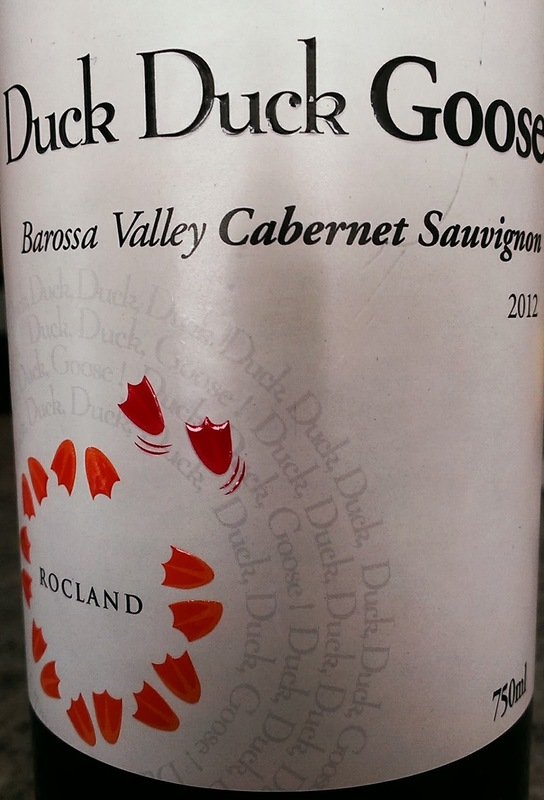 Available at the cellar door, online and at Brisbane's Craft Wine Store. Termed affectionately by a sommelier mate of mine as "giggle juice", I know what he means. What you see is what you get here. A classic representation of Riesling which ticks all the varietal boxes. Simple easy drinking pleasure. 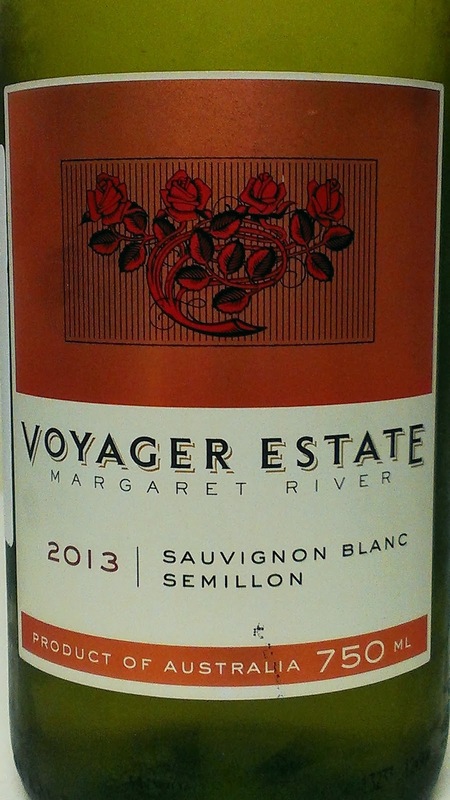 Generous lemon and lime citrus flavours add to a refreshing and flavoursome wine. There is also a lemony sherbet character which adds further appeal. A ridiculous bargain for the quality you get. Priced around nine dollars I recently saw it advertised for just below $7!!! Good Pinot is not cheap, yet it's hard to believe that this wine has a RRP of only $15. Cherries, spice and a hint of strawberry. Well perfumed but quite light in some respects. Flavours are soft and juicy yet plentiful. The spice rolls through nicely giving a long moreish length. It's simply a good solid expression of Pinot Noir. You can often find this priced better than the RRP. I recently saw it advertised for $11! Crazy stuff. Does a bargain Pinot get better than this? Possibily not. 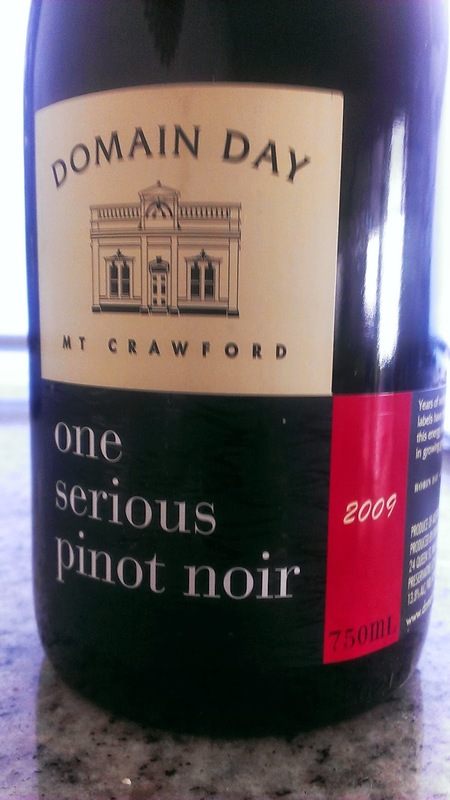 Mt Crawford is on the edge of the Barossa and not typical Pinot Noir territory. Some whole bunches were used and the wine spent eighteen months in oak. Dried herb and savoury aromas hit me first before a waft of stewy and jammy notes came to the fore. This is a fuller style Pinot. I'm not too sure why the current release is 2009 but I it lined up against two Yarra Pinots which definitely appeared more fragrant and approachable. Soft flavours of dried sage and black current were the main players. Not for me and hard to justify the $35 asking price.